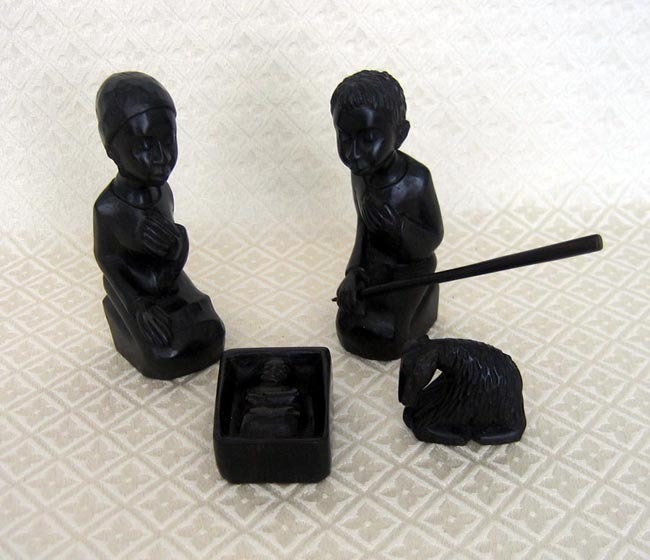 This hand-carved Nativity is from Togo. The set includes four pieces: Joseph, Mary, baby Jesus and a sheep. The largest of the four pieces is 5.5 inches tall. This set was purchased from a street vendor in Togo who was not the artist, so nothing else is known about the set’s origin.